Shopping, world-class entertainment and the historic appeal of Baltimore and Annapolis make for great jaunts. Strollable streets packed with restaurants, shops and hotels make this waterfront zone a fine place to spend an afternoon. Highlights include the Capital Wheel, a 180-foot-tall Ferris wheel with terrific views of neighboring Alexandria, and Boating in DC's kayak and paddle boat rental station. Nighttime attractions include living (and eating) like you're in Las Vegas at the MGM National Harbor. Watch colorfully armored champions joust on horseback and via sword in a “castle” arena at this long-running dinner theater show that pits Camelot-like warriors against each other in fierce, funny battles. The experience also includes a four-course dinner (think chicken legs and pints of ale), falconry demos, dancing horses and loads of selfie-taking options. Just under 40 miles from DC, Baltimore thrives with maritime history, funky neighborhoods, museums and seafood galore. The city’s oldest zone, colonial-era Fells Point, holds cobblestone streets, quaint pubs, crab-serving restaurants and water taxis to zip you from its shores to downtown. The city also hosts a range of attractions including the National Aquarium, the American Visionary Art Museum and Babe Ruth’s Birthplace and Museum. Multiple musical venues make Maryland a feast for the ears. In warmer months, Merriweather Post Pavilion hosts rock, country and indie acts in a park-like, 40-acre space. North Bethesda’s Strathmore features classical, jazz and popular performances in its acclaimed concert hall all year long, and free outdoor shows on its verdant grounds in the summer. The Baltimore Symphony Orchestra is the house orchestra, with shows throughout the year. In a restored 1938 Art Deco movie palace, catch contemporary and vintage films or take in the annual AFI Docs festival, a summertime salute to non-fiction filmmaking. Three elegant auditoriums host movies almost every day of the year, and there are frequent festivals devoted to classic American or new foreign works. 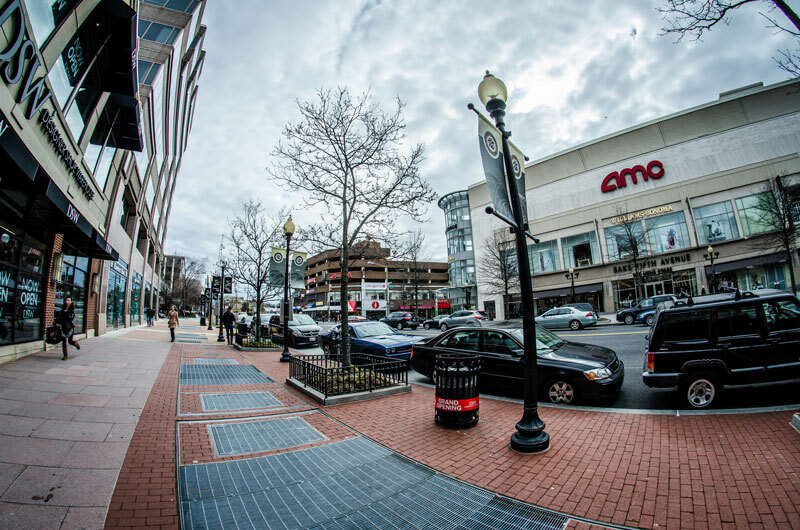 Straddling the border between DC and Maryland, Friendship Heights (also known as Chevy Chase) offers up some of the poshest retail in the area near the intersection of Wisconsin Avenue and Western Avenue. Big name, luxe retailers include Neiman Marcus, Tiffany & Co. and Jimmy Choo, plus Saks Fifth Avenue, which makes its home in a building on the north end of the ‘hood. Smaller shops to seek out include Julia Farr (on the DC side of the line) for women’s party and work clothes and Santa Maria Novello, a fragrance shop specializing in Italian perfumes and potpourri. Looking for more Maryland fun? Check out three cool day trip ideas.